An artists collection of inspirational paintings of the St Tropez area in the Provence, France. 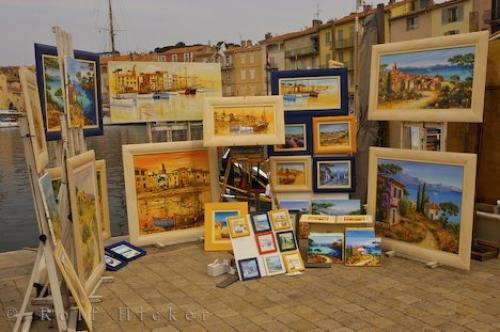 Artist Stalls along the waterfront of St Tropez, The Var, Provence, France, Europe. Photo of paintings by artists inspired by the beautiful surroundings of St Tropez, France.